The kit fox just might be Utah’s cutest mammal. Weighing in at four to five pounds or so, the kit fox is about a third of the size of the more common red fox.. 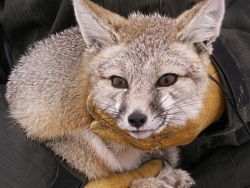 The kit fox has delicate cat- like features and it has comically large, furry ears. It’s desert-colored coat is tinged with rusty orange finishing in a long black-tipped bushy tail. The kit fox is the only desert dwelling fox in North America. In Utah, you’ll find it mostly in the western part of the state, where it lives off field mice and jackrabbits as well as insects, birds, amphibians and fish. The kit fox has evolved a number of adaptations to deal with the desert’s harsh conditions.. First of all those big ears aren’t just for looks. 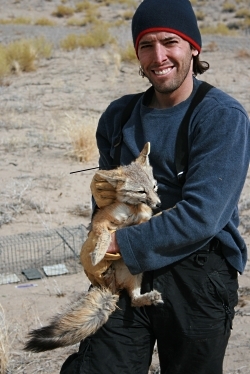 They help the kit fox dissipate body heat through evaporative cooling. Secondly, kit foxes are nocturnal, avoiding the high temperatures of the daytime hours. During the day they lounge in subterranean dens. Kit fox legs are relatively short for a fox. That helps them zig-zag through the brush when chasing prey or being chased. 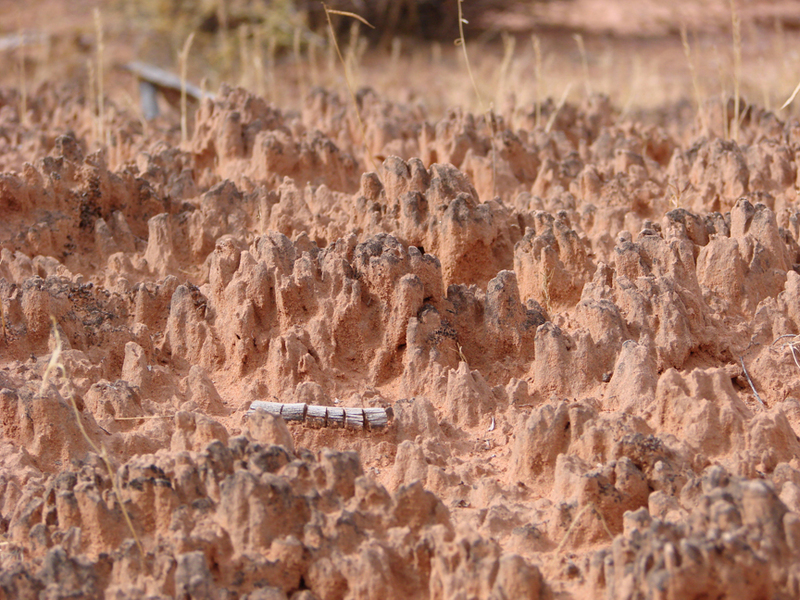 And the pads of their paws are furry which gives them better traction in the sandy soil of desert habitats. Long droughts are common in desert environments and kit foxes have developed ways to deal with them. During a drought, fewer vixens breed and litters become smaller. Kit fox families maintain large territories—larger than necessary for normal years. So when a drought hits, and the population of prey species plummets, the foxes have a larger area in which to hunt. Kit foxes get top marks in water conservation. Little goes in and little comes out.. A kit fox can exist for many months without ever drinking water. Instead, the fox can draw water from the food that it eats. And that water is used with great efficiency. Little is lost through metabolic processes such as urination, defecation breathing and panting. Thanks to Brian Kleuwer and Mary-Ann Muffoletto of Utah State University’s College of Natural Resources for supporting this Wild about Utah topic. Hi, I’m Holly Strand of Stokes Nature Center in beautiful Logan Canyon. I was always prone to homesickness when I spent long periods in the Eastern US and abroad. Returning to Colorado for visits, I would break off a small branch of sagebrush to pack in my suitcase. That way I could always take some essence of home along with me. Now I don’t need to do that. The desert air and cold winters here in Utah make it a sagebrush heaven. The scent that has become so dear to me comes from the volatile oils of the sagebrush plant. Ironically, the smell that appeals so much to me repels most animals. The aromatic properties of the sagebrush are a by-product of chemicals that evolved as a pest deterrent and as anti-freeze. Sagebrush oils have a very bitter taste. Browsers, such as deer and elk avoid the plants, nibbling on sagebrush only in winter months when the concentration of oils has decreased. And even then, only as a last resort. The pronghorn– a North American native that co-evolved with sagebrush–can tolerate it better than other herbivores. Within the sunflower family, sagebrush belongs to the genus Artemisia – a group of wind-pollinated plants spread mostly across the northern hemisphere. The 400 or so species in this genus include a variety of sagebrushes, sageworts, and wormwoods. The Atlas of Vascular Plants of Utah lists 19 different species in the Artemisia genus. 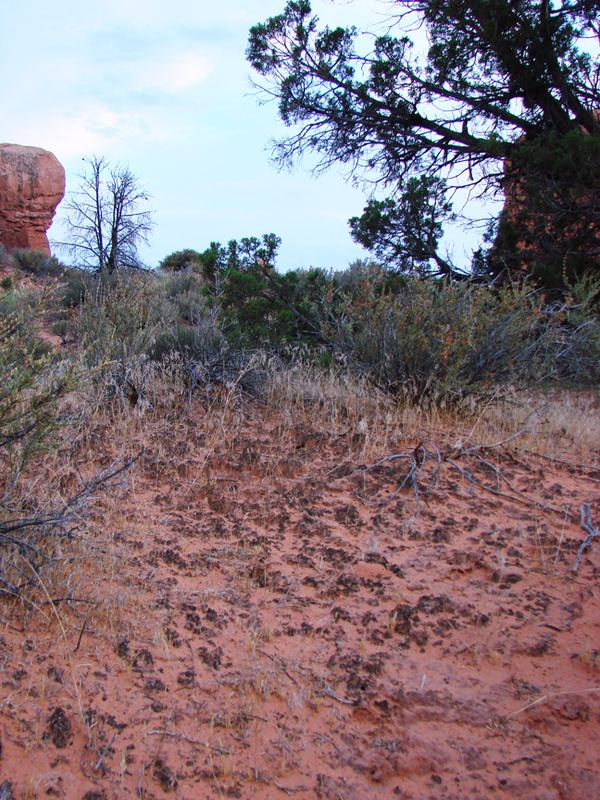 Among the most common, you’ll find sand sagebrush in the dunes and deep sand regions in southern Utah. Black sagebrush is found on gentle, rocky slopes and windswept ridges in dry, shallow soils, in the foothills and desert mountain ranges. Bud sagebrush is common in salt-desert shrub communities from 4-6000 ft. Almost everywhere, however, big sagebrush dominates. It occurs in valleys, basins, and mountain slopes, at elevations between 2,500 and 10,000 feet. In Utah, you’ll also hear big sagebrush called Great Basin, Wyoming or mountain sagebrush. 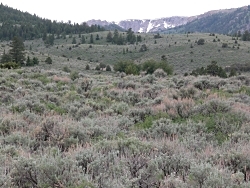 Humans have put the unique qualities of sagebrush and its relatives to good use. The volatile oils are toxic to many intestinal parasites, therefore early Americans used it to rid themselves of worms. Oils have also been used to combat infections and to treat internal wounds. Eurasian wormwood–an introduced plant in Utah–is the defining ingredient, in the liquor absinthe, and is used for flavoring in other spirits and wines, including bitters and vermouth. The spice tarragon comes from dragonswort, an Artemisa species found in both Eurasia and N. America. Ecologists used to think that the presence of sagebrush discourages or suppresses other forms of life. Certainly, sagebrush desert steppes are generally poor in species. The truth is that few species can tolerate the temperature extremes, soil conditions and lack of water the way that sagebrush can. So the next time you see some, pick a leaf, crush it, smell it, and admire this tough but well-adapted Utah native. Dr. Leila Shultz, a Utah State University expert on sagebrush provided the science information for this piece. For Wild About Utah and Stokes Nature Center I’m Holly Strand.